Posing with the Bose QC35 Wireless headphones. Bose mastered the art of noise cancellation last decade and they have just kept on getting better. The noise cancellation on the QuietComfort 25 (wired) headphones released in 2014 has been considered the best. However, after using the QuietComfort 35 Wireless headphones for the past two days, I think Bose has topped themselves. 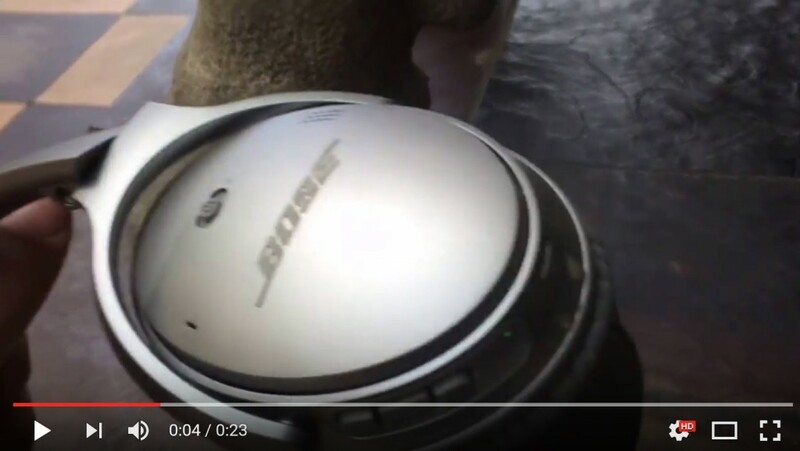 First, here’s a little video I made of the QC35s — nothing complicated, but I like my readers to visualize things. I like the sound, which is louder and slightly more punchy that Bose’s previous SoundLink Wireless headphones. But the most noticeable thing is the noise cancellation, though some people have told me it’s the same as it is on the QC25s. I swear it is slightly better — but is that always a good thing? Of course I can’t speak for everybody, but not being able to hear what goes on outside of your music world is either amazing (wearing while asleep) or downright scary (walking down Sepulveda Blvd. in Sherman Oaks, CA). For example, when I turned into an alley, I didn’t even come close to hearing a large German Shepherd bark at me and approach me. It wasn’t until he jumped on me that I acknowledged his presence and my heart almost fell out of my mouth. Luckily, Elmo just got out of his back yard and wanted someone to play with. My go-to wireless headphones before the QC35s were the more expensive Sennheiser M2 Wireless, which has NoiseGuard technology that isn’t as good, but still lets me hear when I am in danger. When using the Beats Studio Wireless headphones, I didn’t even notice that they had noise cancellation. The Bose QC35s offer amazing noise cancellation. All this isn’t an insult to Bose. After all, as someone who wakes up at the drop of a pin, the QC35s have helped me sleep better the past two nights. They are also very comfortable to sleep with, as long as your head is tilted just a little bit. However, one has to remember that noise cancellation headphones should only be worn in certain environments: You shouldn’t use them when you are driving, you shouldn’t use them when you are taking a walk in a crowded area with busy streets, and you certainly shouldn’t wear these in other background environments where you need to hear people speaking. Right now, I’m going to the gym and will gladly use these while lifting weights. If somebody says something to me while I’m working out, then they’ll just have to accept being ignored. 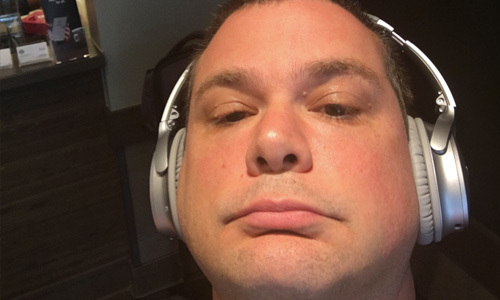 Overall, I am very happy with the new Bose QC35 headphones. 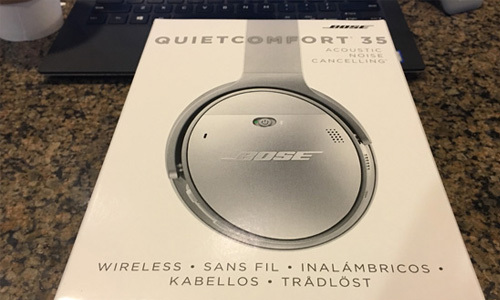 This entry was posted in Review and tagged Bose QC35s, Sennsheiser M2 Wireless. Bookmark the permalink.